English Summary/英文概要： Non-fans regard Céline Dion as ersatz and plastic, yet to those who love her, no one could be more real, with her impoverished childhood, her (creepy) manager-husband’s struggle with cancer, her knack for howling out raw emotion. There’s nothing cool about Céline Dion, and nothing clever. That’s part of her appeal as an object of love or hatred with most critics and committed music fans taking pleasure (or at least geeky solace) in their lofty contempt. 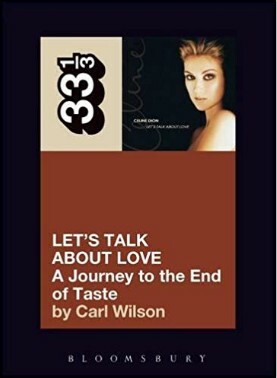 This book documents Carl Wilson’s brave and unprecedented year-long quest to find his inner Céline Dion fan, and explores how we define ourselves in the light of what we call good and bad, what we love and what we hate.